The best office imaginable in which to practice law might be the sandy Lake Michigan shore, but downtown Ann Arbor is a close second. Our office is open Monday through Friday, 8 AM to 5 PM, and we’re easy to find. Our building at 500 South Main Street is a welcoming and comforting place to meet. You’ll find parking on-site, coffee or tea, and most likely our dogs, Blue and Mackinaw, who will greet you. Want to know more about our location? 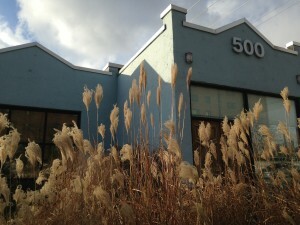 You can read about the history of 500 South Main and tour our building through a photo gallery. And explore our beautiful conference room mural, painted by Katherine Larson, depicting Ann Arbor in the 1860s.